A public swimming pool is a child's paradise; there a child can play and socialize with other children, make friends and treasure the memories. 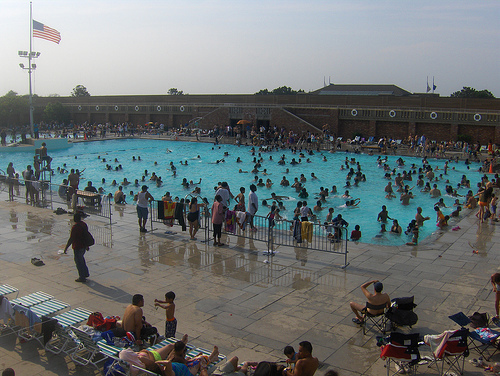 However, public pools are not safe from accidents. About 19% of downing accidents involving children that led to death occur in public pools even with attending lifeguards. Public pools are not all the same, some are safe for your children and some are not. So, how would you know if a public pool is safe enough for your child? Although it's not the lifeguard's full responsibility to supervise your child, having someone that has enough pool safety knowledge and the authority to get everybody out of the swimming pool if ever an accident happen gives peace of mind to all swimmers. Having a lifeguard is not enough. Children could get cuts, wounds or bruises and first aid kit should come in handy. Rescue equipment would be very much need during worst case scenarios that's why they should always be at the lifeguard's side. Pool safety rules should be clearly viewed as well as the warning signs and water depth indicators, if they are not present in your chosen public pool then better think twice. If you could clearly see the bottom drain or the pool floor then the pool is safe enough for your child. If the water is cloudy or murky chances are the pool has water quality issues that might be harmful to children's health. Pool chemicals such as chlorine is important for pool sanitation, however, if they are not managed properly chances are children are at risk especially those with asthma or other respiratory problem. In July 19, 2010, KTLA.com reported that 17 people including 10 children were rushed to the hospital because of a pool chemical accident in Arcadia. Lt. Bob Anderson concluded that the cause was excessive release of pool chlorine. Strong chemical odor is a sign of excessive pool chemicals. A children's pool should be from 0.3 to 1.2 m (1.0 to 4 ft) deep, if the public pool doesn't comply with the right depth then consider your options. It is better if the public pool has a swimming pool exclusive for kids. The Virginia Graeme Baker act states that public pools that have either single or multiple drains should have entrapment drain covers that must comply with ASME/ANSI A112.19.8 performance standard. 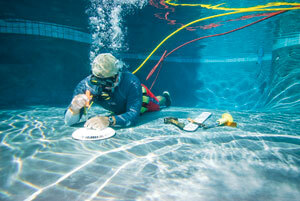 You should ask the swimming pool administrator to check if their drains comply with VGB act to maximize pool safety. Swimming pool decks made of tiles, natural stone and concrete are usually slippery when wet and can injure a running or even walking child. Some public pools treat their pool decks to make them safer for children. It is best to ask first the public pool administration about the safety of their swimming pools before letting your child plunge into the pool waters. Always supervise your children on whatever you do and wherever they go and have a safe pool experience. A public pool can never be safe for children and everybody knows it. Besides these 8 points, also there are some other reasons for what you cannot prefer a public pool for your children. Despite so many problems, if you'll still consider it for kids then accidents would be obvious. The thing that affects the most is the strong pool chemical odor. Before using any pool, make sure the chemical is balanced. 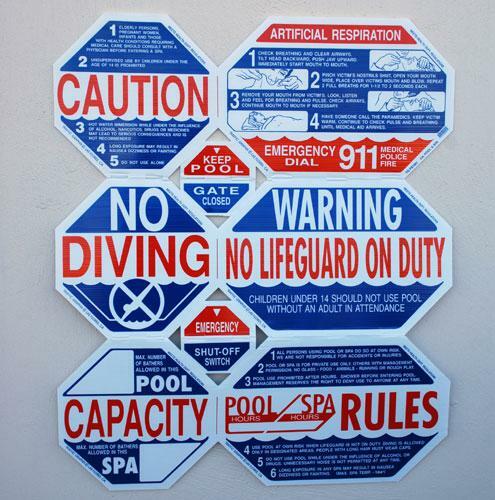 Swimming Pool Accidents & Prevention. If the pool is cloudy then you'll definitely want to avoid dipping into that swimming pool with your child. If it's a salt water pool then I might suggest using SGS chlorinators as they are proven to be highly efficient. I might suggest using SGS chlorinators as they are proven to be highly efficient.